7th Heaven Scuba is passionate about diving. We teach courses from beginner up to assistant instructor. 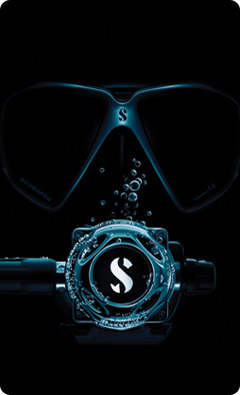 We look forward to see you at 7th Heaven Scuba. The 7th Heaven Dive Centre is a 5-Star PADI scuba training and technical facility, conveniently located to serve the diving community in the West Rand of Gauteng. Setting it apart, is the passion, pride and professionalism of the dive centre staff, standard of instruction and quality of technical service support and dive shop. Making the transition as land mammal into the aquatic world, was more of an emotional and spiritual experience rather than just a grasping of skills for me. The patience and guidance from an excellent instructor (Petri van den Berg), instilled growing confidence to improve my skills through the initial pool sessions to where I could experience the spiritual tranquility of my last open water certification dive at Bass Lake. Looking forward to many more safe dives with new and old friends at the 7th Heaven Dive Centre club fraternity. i recently completed my open water diver course with 7th Heaven Scuba and have to commend the instructor, Petri van den Berg along with his very capable support staff, Anthony and Riaan on the exceptional quality and professional services / assistance provided throughout the course. The store itself is well equipped and should you want anything which is not on the floor Petri will almost certainly get it for you. The pricing on all equipment and accessories are very competitive and IF you get a better price elsewhere Petri will match it 99% of the time. The instructor Petri is very professional, thorough, patient and friendly. He will take all the time needed with each individual (student) until he and you are both comfortable and confident with the skills / requirements / knowledge required to ensure that you are able to dive safely and confidently. Most importantly I found Petri to very thorough in providing training on all aspects of the course escpecially those related to safety, structure and discipline to enable you to be a responsbie confident safe diver. Thank you to the entire team at 7th heaven for a wonderful experience, friendly faces and top quality service. I feel like I have gained friends / family and I will certainly be back for furhter skills development courses in the near future as well as joining in on planned diving trips.. I did my PADI OW, AOW and a few specialities at 7th Heaven with Petri and Conrad and cannot rate the experience high enough. Their focus on “safe, fun diving” is impeccable and their expertise and knowledge is abundantly shared. It is however only when you engage and dive with complete strangers equally qualified to yourself that you can truly benchmark the quality received from your dive school. I recently participated in 6 ocean dives with complete strangers (equally qualified but with more logged dives) and was taken aback by their lack of knowledge and skillset. According to them the instruction I received from 7th Heaven was way beyond what they received during their training at other dive centres. 7th Heaven transformed me from a “nervous and fearful wannabe diver” to a SCUBA addict and I am so glad they did! Thank you 7th Heaven for the excellence you maintain in all spheres (from gear through to the amazing and well organised trips). 7th Heaven Scuba Club isn't only a dive school, but a family you join and want to stay in touch with! 7th Heaven Scuba is the best diving school, EVER! I cant rate it high enough!!! 7th Heaven Scuba is run by Petri, along with his wife Jenny, and colleague Conrad. Petri and his team instantly puts you at ease as he runs a very slick professional dive school and shop. This very professional team immediately puts you at ease with their passion for diving, and diving safe! The instructors where EXCELLENT!!! Knowledgeable and informative, always going out of their way to help and make us feel comfortable and safe! Their equipment is new and very well maintained and the instructors go out of their way to get they kit that suits you best. 7th Heaven Scuba isn't only a dive school, but a family you join and want to stay in touch with! We made a bunch of new friends and stepped into a world more beautiful than we could imagine! Doing this course has opened the door to new adventures and we can't wait to start this journey with our new 7th Heaven family! Thank you Petri, Conrad, Jenny, Henri and Rassie for being the friendly, passionate, helpful team that you are! Took my 8year old daughter for her first Bubblemaker caurse. The instructor, Petri was excellent and treated her with patience and respect. Wonderful experience for her in a devine setting. Counting the days untill next time.